Expediting the process of traditional bodywork is finally here, thanks to our Cornelius NC paintlessdent repair services! When your vehicle gets dented, it’s common to ignore some of the smaller ones. Most vehicle owners don’t want to deal with the expense of taking dents through their insurance or losing their car for a few hours or even a few days with extensive bodywork. Rather than having to drop your vehicle off and lose out on freedom for a few days, Piedmont Dent Repair technicians can make dent repair as convenient as possible for you. Paintless dent removal is one of the easiest ways to recover your vehicle from a small dent or even hail damage. Our team can assess hail dent removal and provide you with a quote on site for mobile dent repair. Thanks to our mobile dent removal services we can arrive at your business or at your home and take a look at the affected area on your vehicle. We determine if the finish has been compromised surrounding the dent and then provide a quote if your vehicle is eligible. Using the latest in technology, we can perform paintless dent removal in Cornelius North Carolina that will not lead to sacrificing the beautiful finish on your vehicle. It is our goal to preserve the look of your vehicle finish over time and to deliver a dent removal service that you can get at a greatly reduced cost. The reason that paintless dent removal can be so much less costly than full body shop services is because it can be done so much more efficiently. By searching for mobile dent repair near me in Cornelius NC, you can be connected with our experts who will come out and perform a mobile dent removal using our tools. 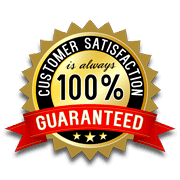 This paintless process comes with a satisfaction guarantee. If you are unsatisfied with the work that our technicians complete, we can perform another dent removal free of charge. These solutions can be perfect for hail damage repair, small door dings and dents you may have picked up in a parking lot, and more. There is no need for costly body shop services or going through insurance with the prices we can offer. If you are interested in paintless dent repair in Cornelius NC contact Piedmont Dent Repair today!